I’ve been feeling sick this past week, so I spent the morning at the doctors office yesterday. Whenever I’m sick and I go to the doctor, I always suddenly feel better. Then I feel like an idiot, as I sit there feeling fine and trying to tell the doctor I’m sick. That’s what happened yesterday. My vitals were all fine, my head wasn’t hurting anymore, and I felt stupid. Oh well, at least the doctor could order some regularly scheduled blood tests. 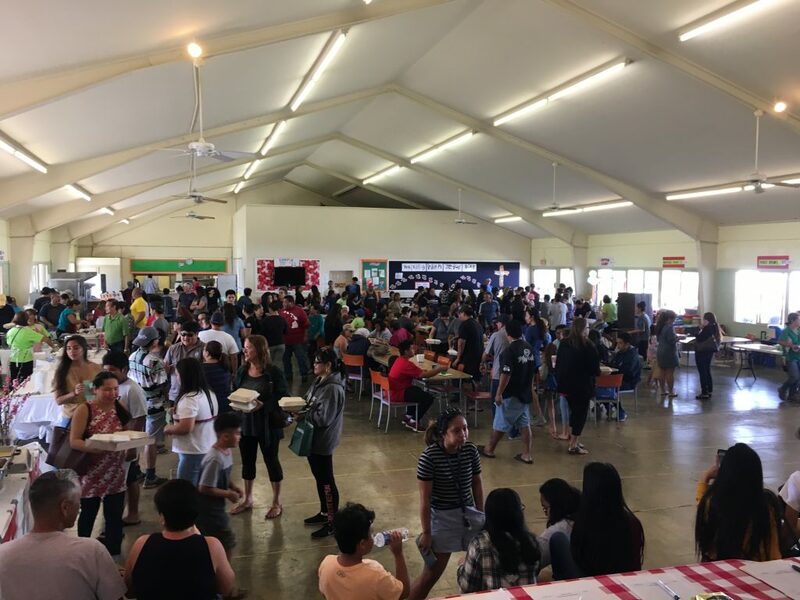 Before I went back home, I stopped at an annual bazaar that the big Catholic church in Kahului has. It has a lot of Filipino members, so I knew the food would be good. It was. Yum! I’m glad you are getting the blood tests done. Feeling run-down can be a symptom of other stuff, so it’s good that you’re ruling everything out. The entire town of Seward has had influenza A and it presents with lots of different symptoms and length of time. Headache and tired are right up there.